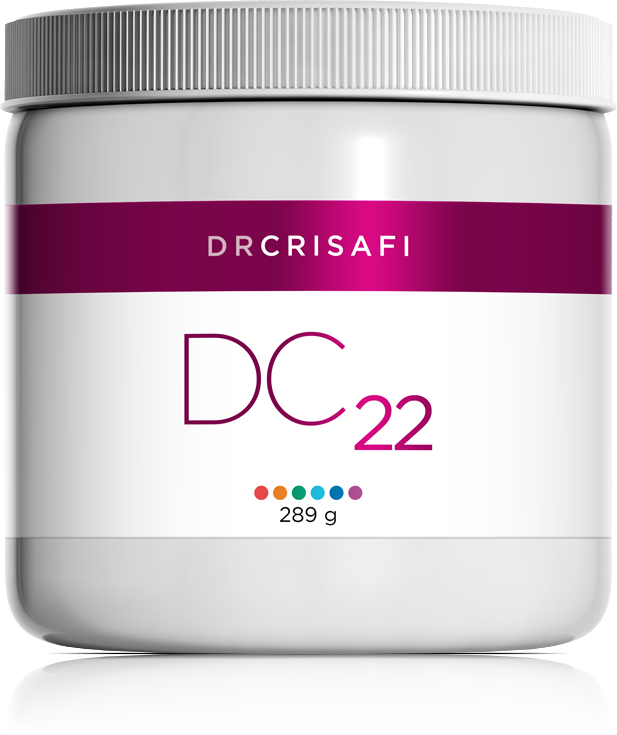 DC 22 is a buffering (alkalinizing) formula that supplies the minerals and dietary elements required to balance the body's pH level and reduce excess acid. The formula's effects are improved by the addition of malic acid. It supplies a perfect balance of the minerals and trace-elements the body needs to reduce acidity. Calcium and magnesium are two of the most important minerals in balancing the body's pH. Magnesium is also vital in its ability to help manage stress. Unfortunately, magnesium it is one of the minerals most lacking in the current North American diet. Malic acid is added to the formula for several reasons. As a part of the Krebs cycle (the energy production cycle) malic acid helps increase energy. Studies have also shown that it helps improve athletic performance. Malic acid is also well known for its effects on reducing muscle pain and tension. This is one of the reasons it is often used in supporting individuals with fibromyalgia. Finally, when consumed in liquid form, rather than in capsules or tablets, malic acid has been shown to reduce the formation of dental caries. The formula, containing primarily malic acid as well as the two electrolyte minerals, calcium and magnesium, is enhanced in a synergistic base of two other minerals as well as spirulina. In so doing, possibilities of mineral imbalance is avoided. Spirulina microalgae was added to increase the formula's pH level. Regulates the body's pH level. Improves gallbladder and liver functions. When mixed with water it reduces the formation of dental caries. Reduced acidity in the body invariably leads to reduced acidity in the skin, which promotes healthier skin. Magnesium is necessary for the skin's ability to retain water and therefore helps relieve dry skin. Not to be used in the case of an allergy to spirulina.